Wag A Tail by Lois Ehlert is full of lively, colorful, collage illustrations of dogs. The story is simple: dogs go to a farmer’s market and then a dog park. Some of the dogs behave well, others poorly. They are all “graduates of the Bow Wow school.” This book, although simple, has completely captivated my sons (ages 4 1/2 and 14 months). In particular, my older son loves the illustrations on the inside back cover, which provide each dog’s name, breed, and personality. We read these descriptions, and then return to the story to observe how the descriptions of the dogs play out in the book. Even though the descriptions of the dogs come last in the book, I explained that the author first decided on the personalities of the dogs in the book, and then wrote the book with those personalities in mind. I wrote down my son’s descriptions as he played, and then took pictures of the dogs to create a chart like the one in the book. My original idea was that we would then write a story, but so far, my son has wanted to act out the stories with the dogs- also a great way to play! 6 of our favorites are below. Ehlert has a set of twin dogs, so we also included a set of twins dogs. 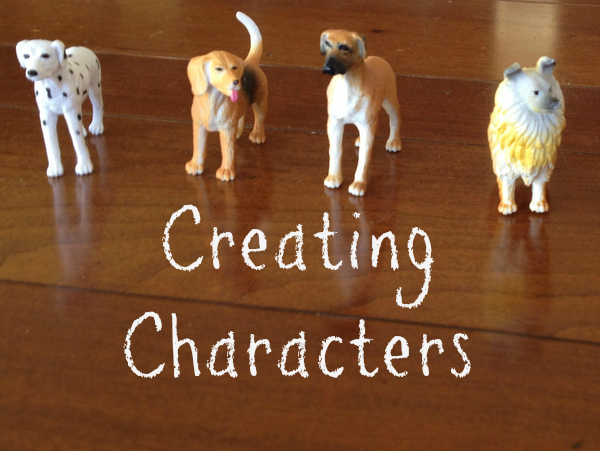 For another character development activity we enjoyed check out this post. Plays very rough, easily bored. Likes to lick people. He loves people so much. Sleepy, sleeps all day long and is always thirsty. Very fast, likes to jump, makes friends with people, listens very well. This post is part of the Virtual Book Club for Kids, co-hosted with a group of amazing bloggers. Please check out the links below for other activities inspired by Lois Ehlert books.